Hello everyone ! 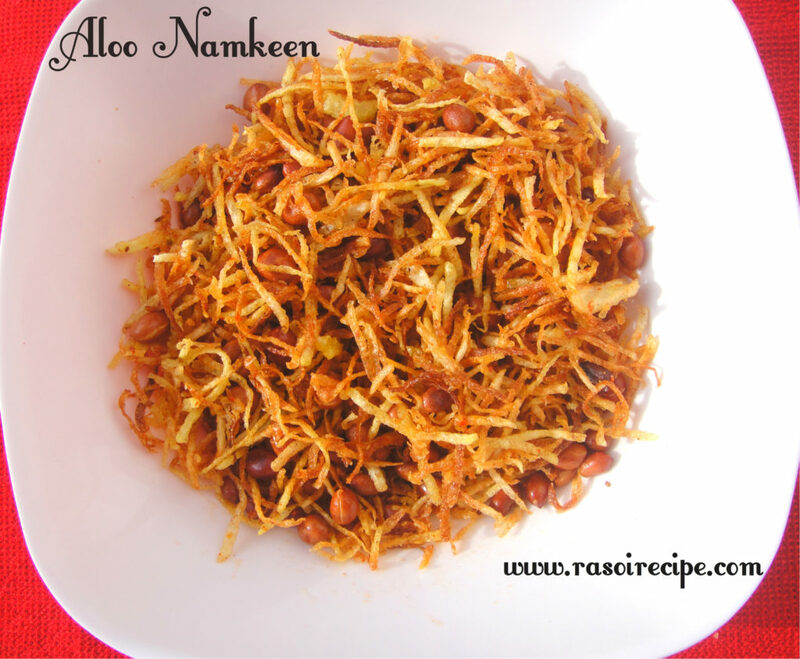 Today’s recipe is ‘Aloo Namkeen’. It is an easy to make savoury snack made from potatoes, peanuts and spices. 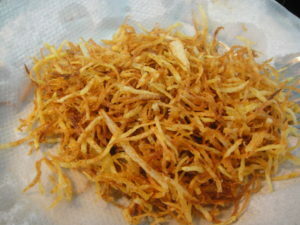 These tangy potato strips can be prepared in bulk quantity. You can store aloo namkeen in an air tight container. 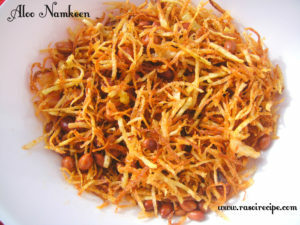 Let’s start preparing this delicious namkeen. For more potato/aloo recipes you can check Aloo Tamatar Ki Sabzi (Potatao and tomato gravy) , Dilli Style Aloo Chaat (Tangy potatoes) , Aloo Shimla Mirch Do Pyaza , Aloo Vada (Potato dumpling/ Batata vada) , Aloo Egg Pattice (potato egg pattice) . 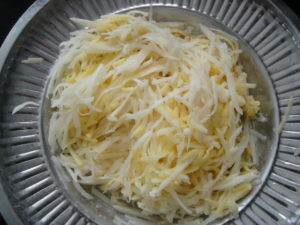 Peel and wash the potatoes, grate or cut into fine matchsticks/strips shape. 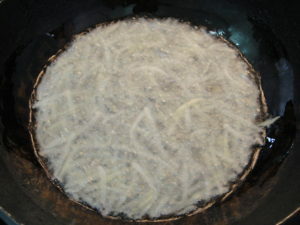 Soak potato strips in cold water for at least 1 hr, change water twice in between. Pat dry potato strips with the help of a dry kitchen towel. 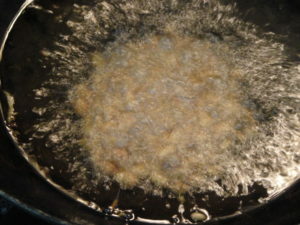 Heat oil in a kadhai/deep pan over moderate heat. 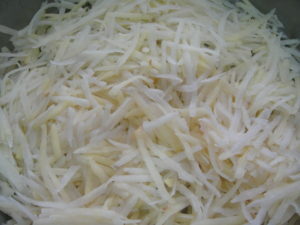 Add potato strips in 2-3 batches and deep fry. 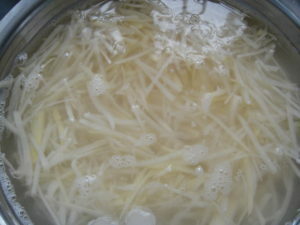 Keep stirring constantly to keep strips separate from each other. Remove when they are golden or pale golden in color. Keep on a tissue paper to remove excess oil. Same way deep fry peanuts. 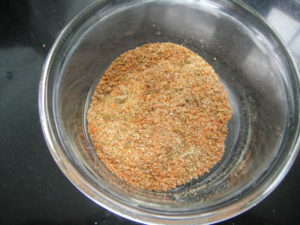 In a small bowl mix salt, red chilli powder, cumin powder, dry mango powder, and chaat masala. 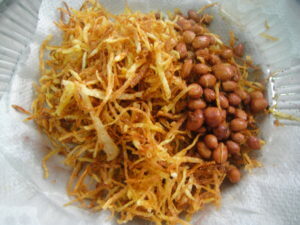 Sprinkle dry masala mix over fried potatoes and peanuts while they are still hot. Mix everything well. 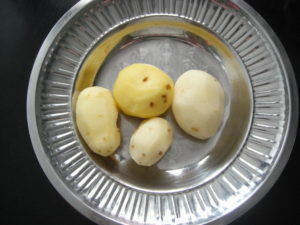 Aloo namkeen is ready, serve it hot or cool and store in an airtight container. You can store aloo namkeen for one week. 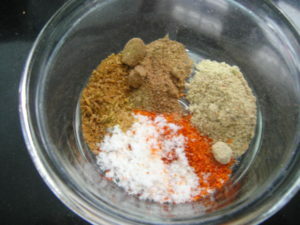 Adjust seasoning as per your taste. I love the aloo namkeen we get in stores, but didn’t know it was so easy to make it! Thank you for sharing the recipe Alisha? It is always good to have homemade snacks.